What’s the longest sentence you know? It seemed like the guy behind the Old Malt Cask stand was being asked this constantly, such was the delay he tried to create before pouring anyone a dram. This is at an event you’ve paid up to £32 to attend in order to try different whiskies. Perhaps this ludicrous display put me in a bad mood, but I was genuinely looking forward to trying the 18yo Blair Athol I was angling for. Partly because it was one of the only interesting-looking whiskies at the very disappointing Whisky Stramash (I’ve heard it was much better last year, but it was distinctly mediocre in my view). Here it is, with a much tastier Laphroaig OMC behind it. Here we go then. I was looking forward to a nice, rich and sherried Blair Athol. Oh dear. Oh deary me. Oh deary, deary me. Nose: Reasonable sherry wafts, with an un-malty creaminess in the background. Taste: Oh, what’s happened here? That cream has turned into old, potentially mouldy, cream. And it’s been left inside an old, unworn trainer for a few months. I’ve never tasted a whisky like this, and the more I try it, the more of am insult that’s becoming. Very, very ridiculous syrup thing with mouldy toffee, strange creamy boiled sweets and the feeling and taste of trepidation when eating a wild plant when you’re unsure if it’s edible. Finish: It’s like milk that might not be milk – are you *sure* that was the udder? Not unlike a banana, which you have to eat from a stranger holding it in a compromising position. A definite creamy offness. AWFUL. 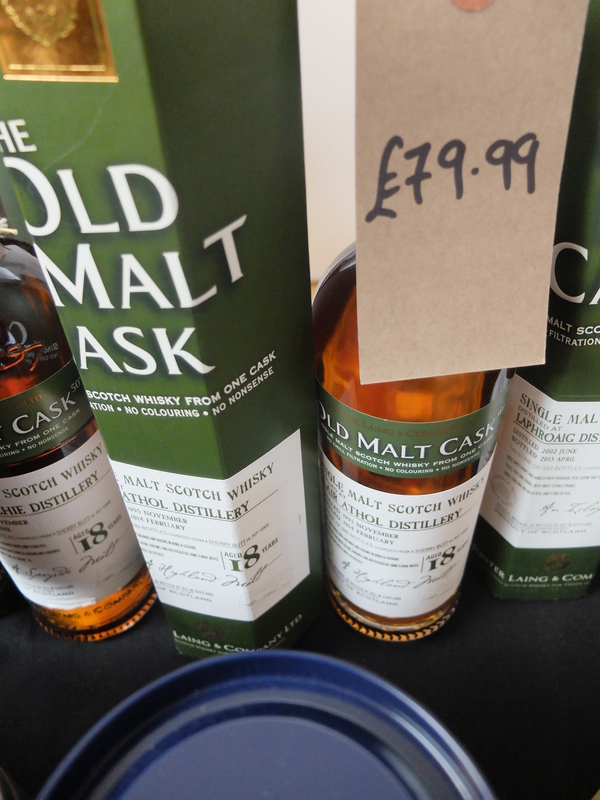 They were selling its sister cask in the shop instead – maybe it’s better? Just as proof I wasn’t tainted by the anger-inducing buildup, the accompanying Laphroaig was excellent (88/100). Apart from a couple of over-metallic Cooleys, this is one of the only malts I’ve genuinely struggled to drink. It’s just possible this is one of those ‘Marmite whiskies’ that is so unusual it could potentially tick all the boxes of another taster. I’ve had some like that before, but this is more likely to be a crowd-disappointer than anything else, I reckon – unless you love off cream served in old trainers, that is. ## Hunter Laing, £80? Really? 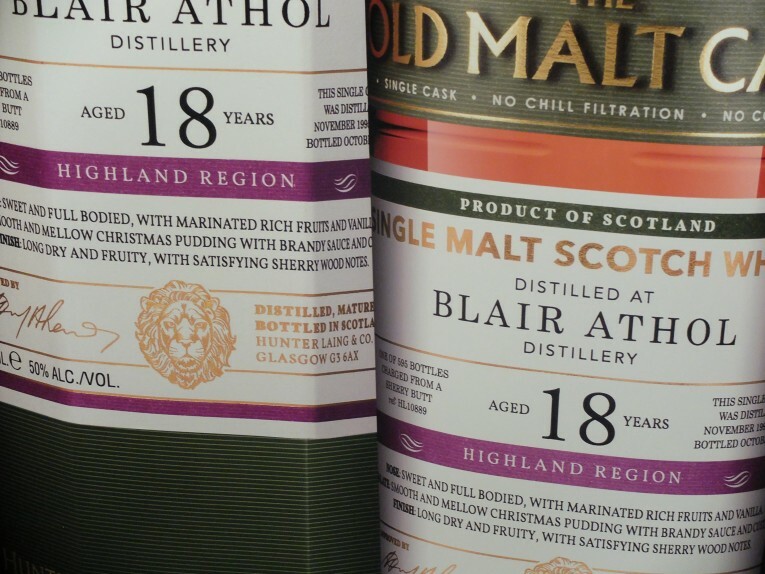 This entry was tagged blair athol, hunter laing, old malt cask, whisky, whisky stramash. Bookmark the permalink. 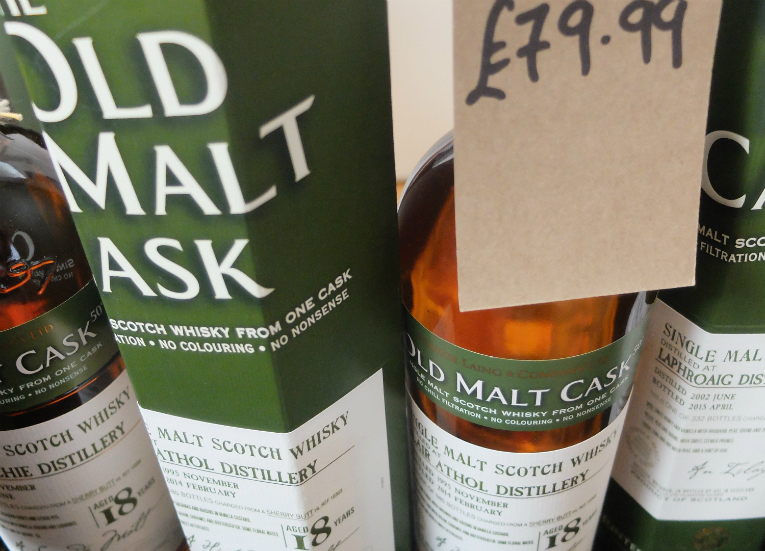 Old Malt Cask is unashamedly for connoisseurs of the finest expressions of Single Malt Scotch Whisky. As one of the most established brands in the single cask market, Old Malt Cask is trusted by thousands of Malt Whisky consumers all around the world as the selection which bottles some of the most noteworthy Scotches in the market. Each month, the Hunter Laing tasting panel reviews the company stocks and, after careful consideration, selects only the casks which are of the highest quality. Whether the whisky was distilled in Speyside or Islay, the Lowlands or the Islands, they all have one thing in common – they have been bottled at exactly the right time to capture the unique characteristics of the cask. Invariably bottled at 50% strength to maintain drinkability, each new expression is non-chillfiltered to ensure that the personality of each cask remains. Our expert blender also writes notes to guide the consumer through the tasting experience. 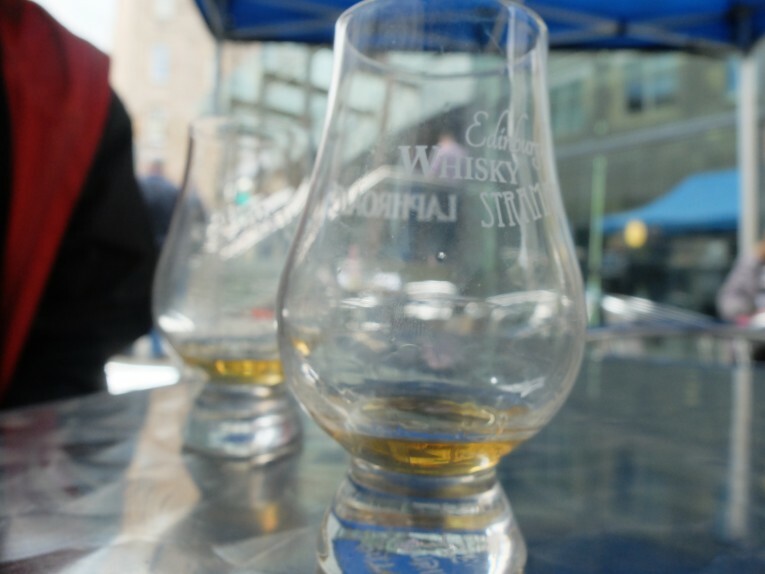 We don’t have to do much with the whisky – we let it speak for itself. 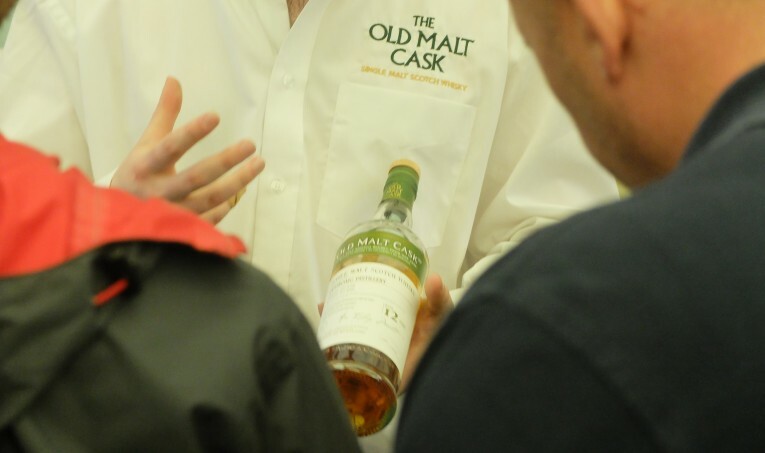 Old Malt Cask has spent fifteen years as one of the market leaders in the single cask category. As the reputation of Hunter Laing rests on the quality of each release, we aim to ensure that each new bottling delights the consumer as much as the last one. I just looked in my English-Old Malt Cask dictionary and apparently this means “hello” in Old Malt Caskian.